Citing among other things, the need to support the federal government’s efforts to boost its revenues following the fiscal challenges, which stemmed largely from the falling price of oil, the Central Bank of Nigeria (CBN) last January directed the Deposit Money Banks (DMBs) in the country to comply with the provisions of the Stamp Duties Act, LFN 2004 by imposing a stamp duty of N50 on bank customers for money received into their accounts. 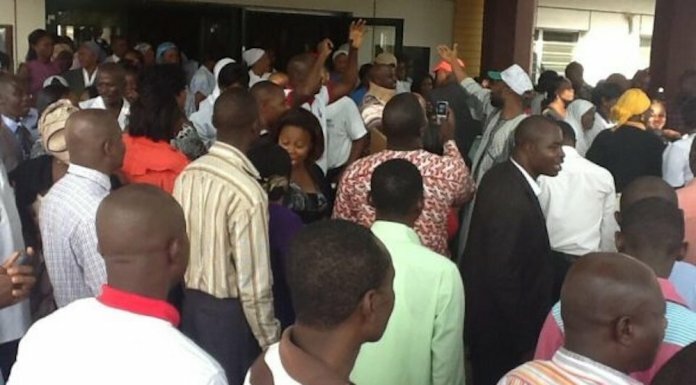 The directive had exempted salaries and savings account holders from the charge. As part of efforts to boost its revenue base, the federal government of Nigeria is exploring revenue opportunities in the non-oil sector especially taxes and rates. It is in recognition of this fact that banks and other financial institutions are enjoined to support government’s revenue drive through compliance with the provisions of the Stamp Duties Act, LFN 2004 as reinforced by the court judgement in Suit No FHC/L/CS/1710/2013. In this regard, the CBN pursuant to the provisions of its enabling laws, issued a circular to all DMBs other financial institutions. 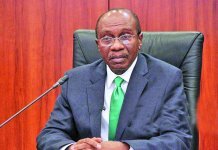 However, a CBN source who spoke with THISDAY under conditions of anonymity said it is not the business of the apex bank to decide where the stamp duty applies adding that its circular to banks was only to make them comply with the court judgement in that regard. But the controversy which followed the implementation of the Stamp Duties charge had barely settled before the extension of the duty charge to savings account holders, without an official statement to the public. Most bank customers allegedly realised the new order by debit alerts from the respective banks on their savings accounts. If anything, the new development is bound to impinge on current efforts to encourage the people to inculcate a savings habit as well as lure the unbanked and financially excluded individuals into the financial system. 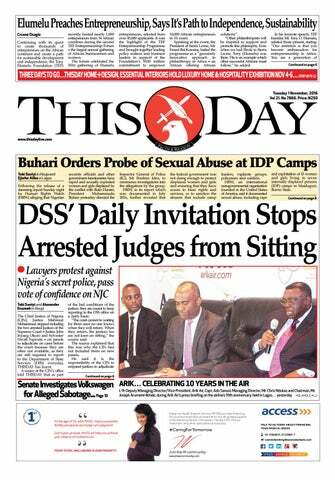 When THISDAY contacted NIPOST, the Managing Director, Mr. Bisi Adegbuyi, was said to have travelled out of the country. 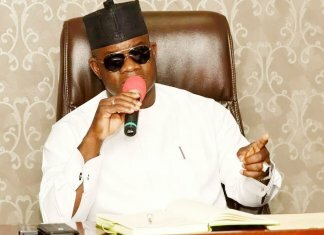 Attempts to get a response from the Deputy Managing Director in charge of Finance and Investment, Mr. Shaba Usman, was also not successful, as he was in a meeting for the greater part of last Thursday. However, in a terse response by SMS, NIPOST Public Relations Manager (PRM), Mrs. Simbiat Onize Lawal, admitted that the deduction of N50 being stamp duty charges or collection either through electronic transfer or teller deposit covers both current and savings accounts on N1000 transaction and above. The federal government had frowned on the non-compliance with the provisions of the Stamp Duty Act and directed ministries, departments and agencies (MDAs) to comply accordingly. In a Federal Treasury Circular obtained by THISDAY, dated December 29, 2015, with Ref. No. OAGF/TS/026/IV/350 of July 20th, 2006 and FR 620, the government had lamented that the implementation of Stamp Duty Act was not being complied with by many MDAs. This was followed by a CBN circular in January 2016. 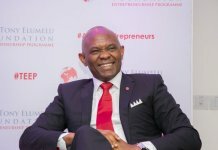 Curiously, a recent report sponsored by the Centre for Finance, Law and Policy (CFLP), Boston University had stated that 70 per cent of bankable adults in Nigeria still preferred to keep their money away from the banks, citing corruption, instability and distrust within the banking system and lack of transparency in excess charges. Authors of the report, Assistant Professor of Economics, Boston University, Kehinde Ajayi, and Researcher, African Studies Center, Boston University, Dr. Omale Ali Garba, said the objective of the study was to understand what factors influence people’s disposition to using the formal banking system for financial services. Experts, who spoke to THISDAY believed imposing a stamp duties charge on savings deposit could further bring more hardship upon the people as well as affect expectations for early recovery from the current recession. Economist and former acting Managing Director of Unity Bank Plc, Dr. Muhammad Rislanudeen, said the extension of stamp duties charge on savings account was ill-timed and ought to have been delayed pending the recovery of the economy. He said: “In a period of recession, new taxes or increase in existing taxes ought to be minimised or at best avoided at least until the economy starts recovering from negative growth. That might have informed the statement of Honourable Minister of Budget and Planning to the effect that government will not increase VAT in 2017. Also, an Associate Professor and Head, Department of Economics, Nasarawa State University, Keffi, Dr. Uche Uwaleke, said though the new measure may boost government revenues, it’s bound to discourage savings attitude of Nigerians. According to him, “The extension of the stamp duty to cover savings accounts at a time when the government is talking about strengthening the handshake between monetary and fiscal policies is, in my view, ill-timed. The CBN should not be seen to be discouraging savings when the government is worried about increasing disposable income in an economy struggling to exit a recession. “The new measure will no doubt increase government revenue. 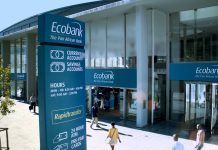 However, given the current state of the economy, the extension to savings account should have been delayed till the economy is out of the woods. The CBN and NIPOST argue it is in compliance with the Stamp Duty Act of 2004 and FGN Financial Regulation of 2009; there is also the temptation to assume that the N50 charge is insignificant since it is applied per transaction of up to N1000 and above and not per volume. In the same vein, economist and ex-banker, Dr. Chijioke Ekechukwu, contended the development could further worsen the effect of the recession and reduce the disposable income of the average Nigerian. He said: “Already, the stamp duty charge on current account deposits is demotivating to account holders and to extend it to savings account is worsening the effect of the recession and reducing the disposable income of an average Nigerian. Banks have recently intensified their deposit mobilisation drive targeting the unbanked but the imposition of charges on their meagre savings or earnings could be a major turn-off for them.